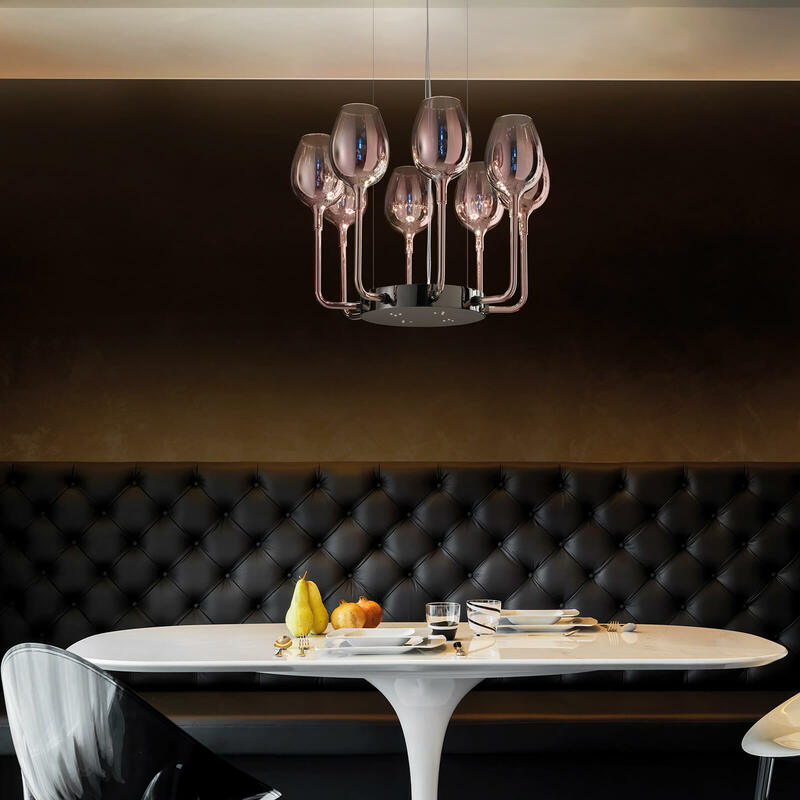 Contemporary pendant lighting crafted in iron-gray metal finishes and pink gold glass. 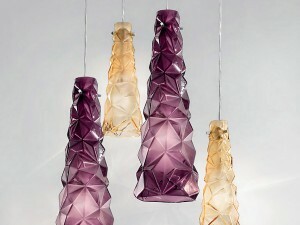 It is available in different sizes, finishes, and colors dark purple and light green glass. 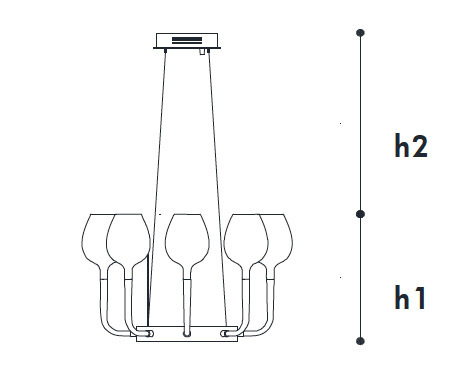 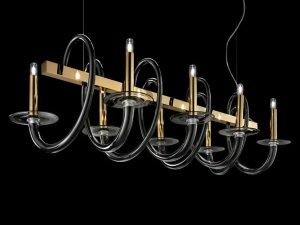 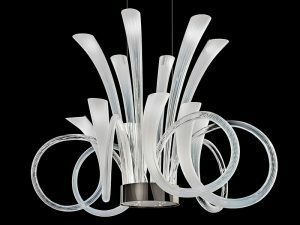 This contemporary pendant lighting is genuie Italian hand-crafted glass artwork. 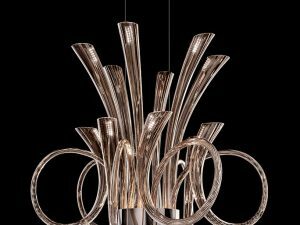 It will bring a character to the interior design project.